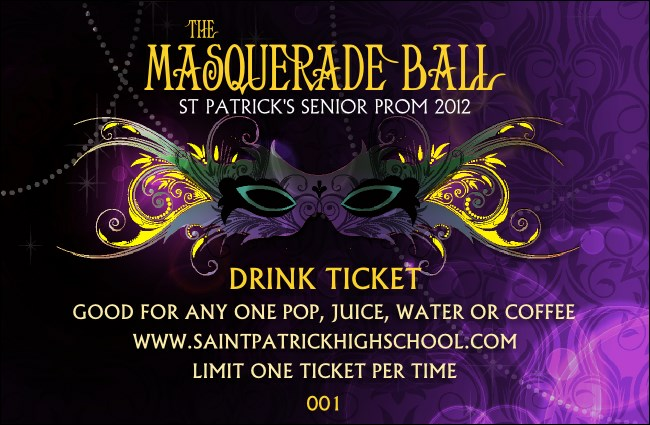 Unmask your sense of hospitality by handing out Masquerade Ball Drink Tickets to your guests. These tickets go perfectly with a night full of mystery and magic, and include brightly-colored feathered masks pictured on elaborate purple backgrounds. Each ticket template includes secure numbering for easy organization. Impress your guests with fancy Event Kits from TicketPrinting.com.